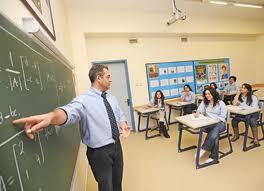 Education in Turkey-Enrolling your Children in Turkish schools. When moving to Turkey with children, the issue of education should be thoroughly investigated, ideally it is a good idea to know what to expect before making a move. Thanks to a huge Expat community in Turkey, there is demand for international schools so you are not alone when it comes to finding the best English speaking schools for your children. Some larger towns and cities in Turkey have international and English schools where an international curriculum is taught. So if you are moving to cities such as Istanbul, Ankara, Izmir and Antalya you are covered. For example the British International School is a popular choice with Brits in Istanbul; the school takes pupils from the age of two and a half up to eighteen and covers the ICSE and international baccalaureate qualifications. Istanbul is also home to an International School which teaches a bilingual curriculum and caters for Finnish, Korean and Spanish students. Elsewhere, Brits in Ankara have the choice of the Bilkent University Preparatory School or the Oasis International School whiles in Antalya they have the Ozel Antalya Kolegi which teaches in both English and German. It turns out there are options when it comes to education in Turkey, you can either send your kids to a Turkish state school or take them to a private school depending on your budget, the choice is yours. I would like to read more about Turkey here.